Welcome to Pitch Bar and Eatery, the only Welsh restaurant in the capital serving up fresh, locally sourced produce, from breakfast till cocktails. We are located at 3 Mill Lane in the cafe quarter and are open 7 days a week. We recommend you call ahead to reserve your table in order to avoid disappointment. Great service and amazing food. Advice this place and we definitely come back! Have passed this place so many times and never been in but it was a cute and cosy place with awesome food for a very reasonable price. Definitely going again. Only value for money because using MEERKAT 2 for 1 on Food. I had Wild Garlic mushrooms to start, they were OK but couldn't really taste any garlic.The Main did arrive very quickly after finishing starters and did appear it had been microwaved. The clue was the thick consistency of the gravy which became very congealed when it cooled). A good portion of carrot and broccoli was included but no mint sauce was offered with Lamb Shank. Waitress did appear to be waiting for us to finish our mains and whip away the plates, but did apologise for being over eager. She may have been having a slow evening as it was a Thursday around 7pm. Hi the staff were great however the first mojito was weak and watery, this was replaced though, and next were good. Service a bit slow but it was very busy match day. Food average and not that good value. We were expecting nibbles, maybe like tapas style rather than full lunch menu, as I booked drinks n nibbles. However overall I would recommend and will return !! It was match day and the whole of Cardiff was packed. The restaurant was set up and ready for the influx. The menu was minimal and was okay but the service was great and the atmosphere was amazing. I suspect the food suffered slightly due to the match day but it was still good and was suitable for all 9 of us (including a Gluten Free option too). Great welcome. Superb atmosphere. And that was before the drinks and food turned up! Will definitely use this venue again. Really enjoyed our meal and meeting some fun people. Group of 15, no problems booking online. Good service, good food and reasonably priced! Would definitely go again. 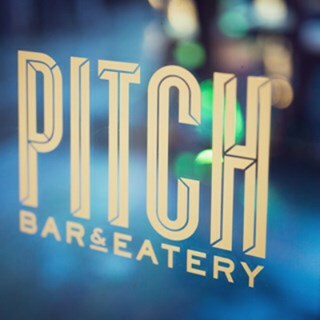 Always enjoy meeting friends for lunch and drinks at Pitch Bar. Very good food and wine menu and staff always very attentive. Prices not too bad. As money is tight. I would have given 5 stars if a little cheaper or had offers at certain times of day - And would be able to visit more frequently. Fantastic service and friendly staff. Great food. Really enjoyed our meal and service was very friendly. Absolutely FANTASTIC evening! Great range of delicious cocktails, lovely food. Staff were really friendly and helpful and couldn’t have been more welcoming. Would highly recommend to anyone and will be back soon!! Worst afternoon tea we’ve ever had. If you are to compete in the afternoon tea world, you need to stand out. No choice of tea. Scones over baked. Glad we had a voucher because full cost would have been embarrassing! Tea cups and pots are cute. Sat by the door and very cold. Would 100% recommend the Sunday lunch. Had a lovely afternoon. The service was great and the atmosphere with lots of groups having afternoon tea like us was a real novelty.